This brief, which draws on interviews with Dougherty County stakeholders and secondary data sources, provides information about local government policy opportunities and challenges in the food system to inform the work of the GFC steering committee and stakeholders in Dougherty County. In the City of Albany and Dougherty County, Georgia, community efforts to establish farmers’ markets, farm-to-school programs, and a regional food hub are drawing attention to the realities that: small farmers and low-income residents are marginalized by the current food system; African Americans are agents of change in the community food system; and regional approaches to food systems planning that foster connections between urban and rural areas are essential. Stronger public-policy support, especially from local governments, can amplify community efforts to promote agricultural viability and food security and address racial and economic disparities. Community advocates see missed opportunities to connect small farmers to underserved areas, a connection that would provide farmers with a consumer base and underserved areas with healthy food and local jobs.24 A major focus of Southwest Georgia Project, a community organization, has been connecting small farmers to local market opportunities. Founded in 1961, Southwest Georgia aims to educate, engage, and empower residents in the region through advocacy and community organizing around human rights and social justice issues, including agriculture and food.25 Southwest Georgia Project has established several direct to consumer farmers’ markets that accept Supplemental Nutrition Assistance Program (SNAP) benefits in three counties and facilitated farm-to-school initiatives in several school districts in the region.14 The organization is currently planning a regional food hub with aggregation, processing, and distribution facilities in Albany.16 With the presence of large, anchor institutions in Dougherty County including the school district, regional hospital, and several universities, there is great potential for farm-to-institution programs and local procurement policies to connect local farmers to local markets. Limited public transit service and poor walking conditions in various areas of the county create additional barriers to healthy food accessibility for residents. Nearly 13 percent of households in the county do not have access to a car; nearly all these households live in the City of Albany.4 While Albany Transit System operates a fixed-route bus system and paratransit services, respondents report that transit service is often infrequent and inconvenient.31 Sidewalk infrastructure is minimal or non-existent in many residential areas of the county, with sidewalks primarily located in downtown Albany. There is strong community support for food systems issues, but several factors hinder local government engagement in food systems planning. Respondents identified a limited awareness of and interest in food systems issues within the local government. When local governments do address food, they tend to focus on agricultural zoning and land use regulations. While economic development is a primary public policy concern, there is little recognition of the role that food systems could play in promoting economic development as documented nationally.36 Deep-rooted racial divisions may also hinder communication and collaboration between a predominantly White public sector and Black-led community organizations that are leading solutions to strengthen community food systems. 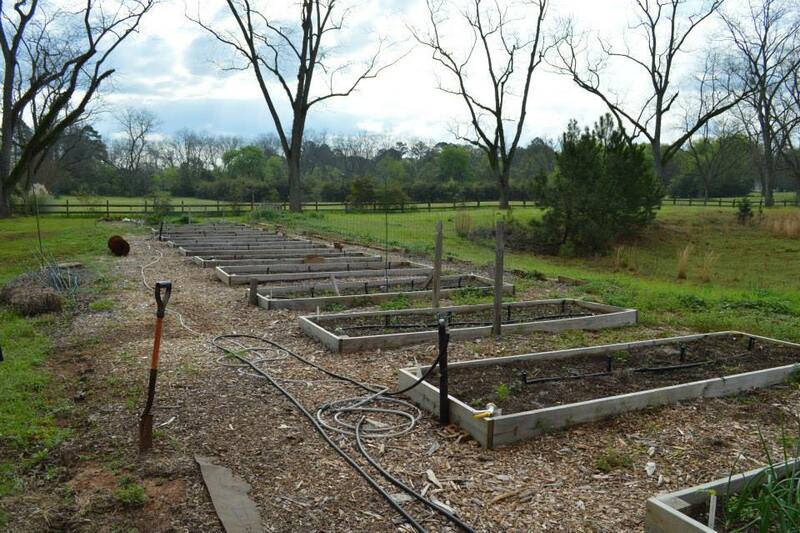 However, there are a number of existing governance structures and local government priorities that could facilitate greater local government engagement in food systems planning in Dougherty County. 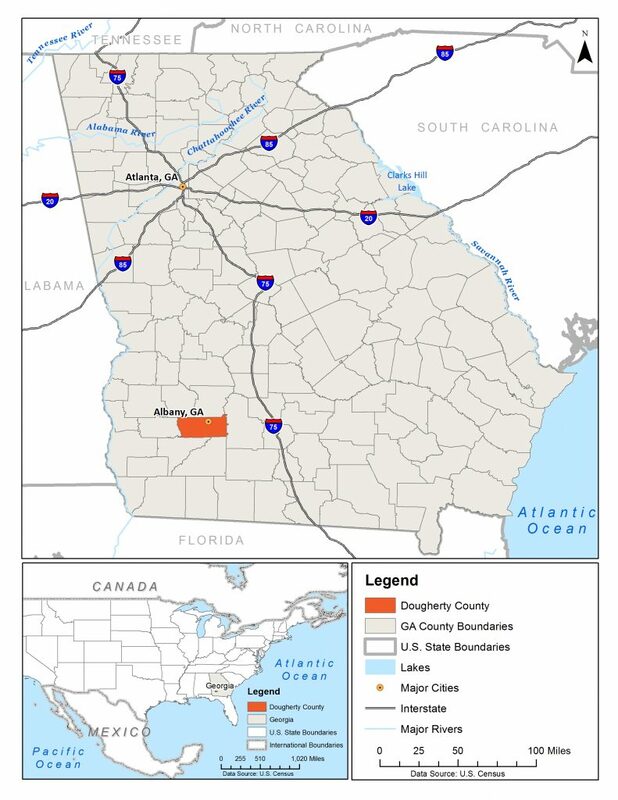 Dougherty County has two general purpose governments: the county government and the municipal government in the City of Albany.37 Through a cooperative agreement, the city and county governments operate joint departments, including a joint planning department.38 This collaborative structure offers opportunities for tying together the priorities and investments of the urban core to the outlying rural areas. The county also has six special purpose governments: five special districts and one independent school district, the Dougherty County School System.37 Intergovernmental coordination between city and county governments, and with civic organizations, could lay the stage for innovative and equitable food policy in Dougherty County. East Baker Commercial Kitchen (2005): Established in 2005, East Baker Kitchen is a commercial kitchen located in a former elementary school in Baker County (adjacent to Dougherty County). The commercial kitchen features a state-of-the-art cooking facility and serves as a hub for food entrepreneurs and community members to sell locally grown fruit, vegetables, and value-added products. The enterprise provides micro-loans and access to equipment that is often out of reach for small food businesses. Dougherty County Farm-to-School Program (2013-Present): With funding from a 2013 USDA Farm to School Program implementation grant, Southwest Georgia Project launched a farm-to-school program in Dougherty County to increase the supply of fresh, locally grown food in schools. Southwest Georgia Project worked closely with the Dougherty County School System (DCSS)’s School Nutrition Services department to implement the program. The program has enabled several schools in the county to serve local foods, plant school gardens, and invite farmers to talk to students. 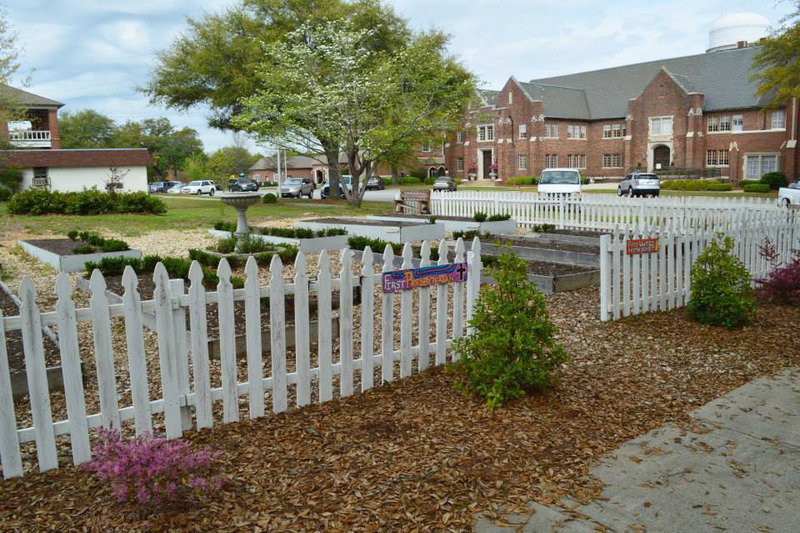 DCSS’s farm-to-school goal is to purchase 20 percent of the produce served from farms within 100 miles of the county. A major barrier to program expansion is the absence of processing infrastructure for small and mid-sized farmers in the region. Despite this challenge, the school district and community partners continue to pursue opportunities to support local farmers and the local food economy while simultaneously promoting healthy eating among students. Community advocates envision the farm-to-school program as a key component of a regional food system anchored by small farmers and food entrepreneurs. Albany Regional Food Hub Project (2015-Present): Southwest Georgia Project is currently planning a regional food hub in the City of Albany for the development of local food infrastructure. The food hub will provide aggregation, processing, and distribution facilities for small farmers in Dougherty County and surrounding counties to clean, process, package, and ship their crops for consumption. The venue will allow residents to buy fresh produce directly from local farmers, increasing healthy food options in Albany and fostering connections between farmers and consumers. The food hub will also create jobs, within the facility but also on farms, as the provision of a large market and processing equipment will offer incentives to increasing farming activity. A food hub would support and scale up other local efforts to connect farmers and consumers, including the DCSS farm-to-school program, farmers’ markets in downtown Albany, and outreach and technical assistance to minority farmers. The project could also employ out of work persons for processing labor, create value-added businesses, serve as a training site for ongoing certification and business management courses, and provide fresh produce in underserved areas. The organization’s efforts received a major boost in 2015, with the donation of a former Winn-Dixie grocery store building in Albany. The 47,000-square-foot building, valued at $2.35 million, sits on 3.9 acres of land. Southwest Georgia Project anticipates the food hub could serve at least 100 farmers from Dougherty County and surrounding counties for use as a processing facility and market to sell their produce. The food hub will also include retail vending and community meeting spaces. Farmland protection represents the primary way in which local government’s work intersects with the food system in Dougherty County. 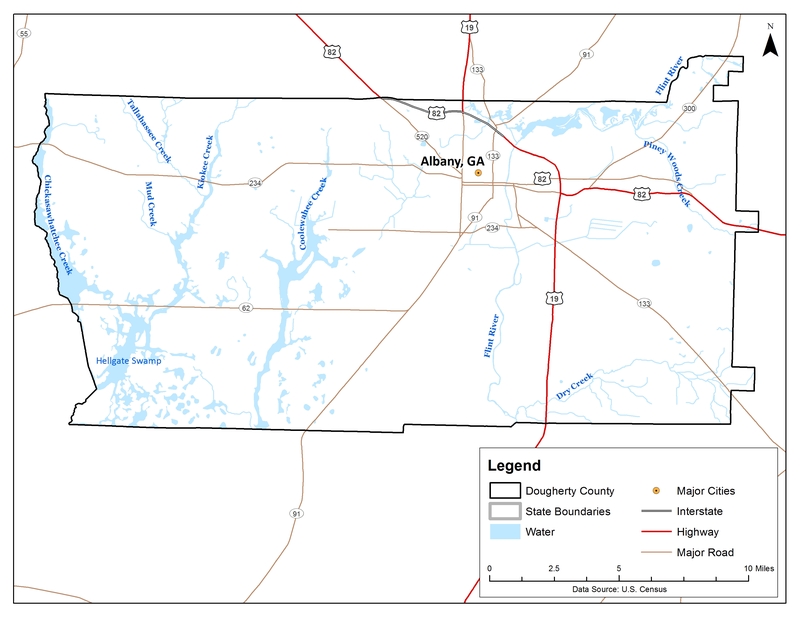 The Albany-Dougherty County Comprehensive Plan, last updated in 2016, identifies farmland as important to the economy and culture of the county.5 The comprehensive plan highlights the significant amount of prime farmland and rural character of the county as distinctive assets for future prosperity, especially agritourism opportunities.5 The plan recommends an “urban area boundary” to prevent conversion of agricultural land to other uses.5 Despite provisions calling for farmland protection, the city and county governments have not created legally enforceable policies to protect farmland from development pressures. Outside of farmland protection, there is little mention of food production, distribution, and acquisition challenges and opportunities in the document. Dougherty County actively participates in regional planning processes as part of the Southwest Georgia Regional Commission. As one of Georgia’s twelve regional commissions, the Southwest Georgia Regional Commission works with local governments and state and federal agencies to coordinate regional planning activities and funding programs for the 14-county region.40 Although there is no food policy council or other local governance body in Dougherty County for food system stakeholders to convene and engage in agenda setting or policymaking activities, the regional commission structure offers opportunities for thinking about regional food systems issues. 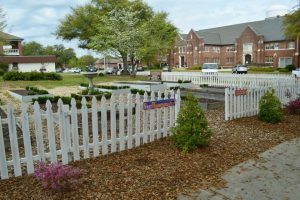 The city and county governments could collaborate on establishing a food equity policy council in partnership with local community organizations such as Southwest Georgia Project, as well as Extension, local farmers and residents. Much like food policy councils in the country, the food equity policy council could serve as a formal structure to continue and build on the work of the Growing Food Connections steering committee in the county – but with an explicit goal to serve the most marginalized farmers and consumers. The food equity policy council could make a deliberate effort to engage local government officials from various departments, especially economic development, who are less familiar with and “bought in” to the importance of food systems planning. The council can target its outreach and engagement to smaller farmers in the county and members of groups in the community that are most vulnerable to food security, including African American residents in both urban and rural areas, as well as young people. A goal of the council could be to re-frame discussions around farming and farmland protection in the county to center the experiences and needs of small farmers, vegetable farmers, and Black farmers. Southwest Georgia Project’s regional food hub project is a critical opportunity for local government to simultaneously strengthen agricultural viability and food security in Dougherty County. The non-profit organization has approached local government officials on several occasions to request a property tax exemption on the building in order to divert limited funds away from paying property taxes and towards covering many of the capital improvements that are required to transform the former grocery store building into a space for the aggregation, processing, and distribution of crops for up to 100 farmers from surrounding counties. The local government has denied these repeated requests, even though it provides financial assistance to recruit and retain outside companies. Urban agriculture could help put vacant lots in the city to productive use, contributing to community recreation and neighborhood stabilization, as well as reducing maintenance responsibilities of the local government. Urban agriculture could also provide access to fresh food for residents that face barriers to obtaining adequate, affordable, and culturally acceptable foods in the county. Additionally, urban agriculture could help urban residents who may be disconnected from farming activities that happen in rural areas of the county better connect with this important activity that plays a large role in the county’s history, economy, and identity. A number of local governments from across the country have taken a whole host of actions to support urban (and other forms of) community food production including by creating and implementing agricultural plans (Marquette County, Michigan); adopting supportive land use and zoning regulations (Minneapolis, Minnesota); using public lands for food production (Lawrence, Kansas); and supporting new farmer training and development (Cabarrus County, North Carolina).44 The city and county governments of Albany and Dougherty can leverage their communities’ assets and knowledge to create a supportive policy environment for community food producers. Information in this brief comes from multiple sources. Quantitative data sources include the 2012- 2016 American Community Survey (ACS) five-year estimates and the 2012 Census of Agriculture, as well as datasets from state education and public health departments. Qualitative data include 12 in-depth interviews with representatives of various sectors of the food system as well as City of Albany and Dougherty County policymakers and staff. Interviewees are not identified by name but are, instead, shown by the sector that they represent, and are interchangeably referred to as respondents, interviewees or stakeholders in this brief. Interviews were conducted from March to July 2015. Qualitative analysis also includes a review of policy and planning documents of Dougherty County, which were reviewed for key policies and laws pertaining to the food system, and a review of the minutes of the Growing Food Connections steering committee meetings. A draft of this brief was reviewed by interview respondents and community stakeholders prior to publication. The GFC team is grateful to the Dougherty County GFC steering committee, Dougherty County government officials and staff, and the interview respondents, for generously giving their time and energy to this project. 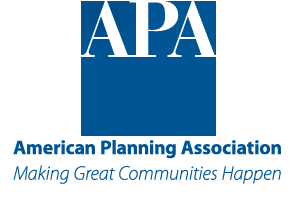 The authors thank colleagues at the Food Systems Planning and Healthy Communities Lab and the School of Architecture and Planning at the University at Buffalo, The Ohio State University, Cultivating Healthy Places, American Farmland Trust, and the American Planning Association for their support. This work was funded by a grant from the National Institute of Food and Agriculture (NIFA Award #2012-68004- 19894), and the 3E grant for Built Environment, Health Behaviors, and Health Outcomes from the University at Buffalo. 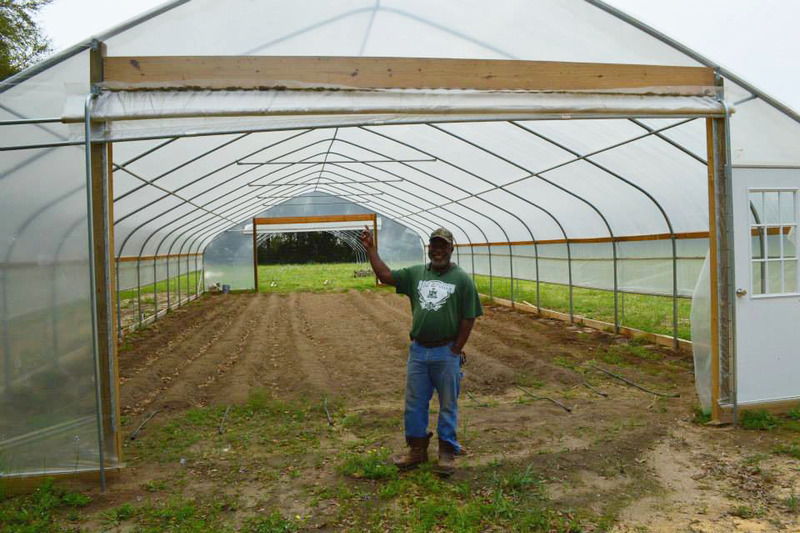 2 Growing Food Connections, “Dougherty County, Georgia: Community Profile,” May 12, 2016, growingfoodconnections.org/research/communities-of-opportunity. 3 Southwest Georgia Regional Commission, “About the Regional Commission,” accessed May 12, 2018, http://www.swgrc.org/. 4 U.S. Census Bureau, 2016 American Community Survey 5-Year Estimates, 2012-2016 (Washington, D.C.: U.S. Census Bureau, 2017). 5 City of Albany and Dougherty County, Albany-Dougherty County Comprehensive Plan 2026 (Albany, GA: City of Albany Board of Commissioners and Dougherty County Board of Commissioners, 2016), http://www.swgrcplanning.org/uploads/6/1/8/4/61849693/[adopted]_albany-dougherty_comprehensive_plan_dca_6-30-16.pdf. 6 C. Brooks, “Albany District Pecan Growers’ Exchange, National Register of Historic Places Inventory—Nomination Form,” March 1984, https://npgallery.nps.gov/GetAsset/176a4f07-f840-4aac-9331-e79a08468fad. 7 For more information on the Albany Movement, see C. Carson, “SNCC and The Albany Movement,” The Journal of South Georgia History 2 (1984): 15-25; S.B. Oates, “The Albany Movement: A Chapter in the Life of Martin Luther King, Jr.,” The Journal of South Georgia History 16 (2004): 51-65; S.G.N. Tuck, Beyond Atlanta: The Struggle for Racial Equality in Georgia, 1940-1980 (Athens, GA: The University of Georgia Press, 2001). 8 Albany-Dougherty Economic Development Commission, “Area Industries,” accessed May 12, 2018, http://choosealbany.com/area-industries/. 9 A food system is the interconnected, soil-to-soil network of activities and resources that facilitates the movement of food from farm to plate and back. 10 Albany-Dougherty Economic Development Commission, “Major Employers,” accessed May 12, 2018, http://choosealbany.com/business-climate/major-employers/. 11 U.S. Department of Agriculture, 2012 Census of Agriculture (Washington, D.C.: U.S. Census Bureau, 2014). 12 Interview with Farming and Agriculture Representative in Dougherty County (ID 44), March 25, 2015. 13 Interview with Farming and Agriculture Representative in Dougherty County (ID 50), July 1, 2015. 14 Interview with Consumer Advocate Representative in Dougherty County (ID 48), March 26, 2015. 15 Interview with Cooperative Extension Representative in Dougherty County (ID 46), May 18, 2015. 16 Interview with Consumer Advocate Representative in Dougherty County (ID 51), March 25, 2015. 17 Interview with Cooperative Extension Representative in Dougherty County (ID 49), March 25, 2015. 18 For more information on how farmland loss in the U.S. is tied to racial and equity concerns, see J. Gilbert, G. Sharp, and M.S. Felin, “The Loss and Persistence of Black-Owned Farms and Farmland: A Review of the Research Literature and Its Implications,” Southern Rural Sociology 18, no. 2 (2002): 1-30; The Center for Social Inclusion, “Regaining Ground: Cultivating Community Assets and Preserving Black Land,” 2011, http://www.centerforsocialinclusion.org/wp-content/uploads/2014/07/Regaining-Ground-Cultivating-Community-Assets-and-Preserving-Black-Land.pdf; A. Dillemuth, “Farmland Protection: The Role of Local Governments in Protecting Farmland as a Vital Local Resource,” (Buffalo, NY: Growing Food Connections, 2017), http://growingfoodconnections.org/wp-content/uploads/sites/3/2015/11/GFCPlanningPolicyBrief_FarmlandProtection_2017Sept1.pdf. 19 For examples of local and national press coverage of droughts in Southwest Georgia, see Atlanta Journal-Constitution, “Exceptional Drought Wreaks Havoc in Southwest Georgia,” August 27, 2012, https://www.ajc.com/news/local/exceptional-drought-wreaks-havoc-southwest-georgia/Zzx9n7Kh3Td42zq7JAQeeO/ and National Public Radio, “Georgia Digs Deep to Counter Drought,” August 14, 2012, https://www.npr.org/2012/08/14/158745435/georgia-digs-deep-to-counter-drought. 20 Georgia Department of Natural Resources, “Press Release: Georgia EPD to Suspend Consideration of Some New Farm Water Permit Applications,” July 30, 2012, http://www.georgiawaterplanning.com/documents/GeorgiaEPD_Newsrelease_AgPermittingSuspension_073012.pdf. 21 Pretoria Fields Collective, “Pretoria Fields Collective,” accessed May 12, 2018, http://www.pretoriafields.com/. 22 J. Wallace, “Microbrewery Project Underway in Downtown Albany,” WALB News, November 7, 2016, http://www.walb.com/story/33650454/microbrewery-project-underway-in-downtown-albany. 23 WALB News, “Special Report: Destination Downtown,” February 11, 2016, http://www.walb.com/story/31189530/special-report-destination-downtown. 24 Interview with Local Government Representative in Dougherty County (ID 42), March 25, 2015. 25 Southwest Georgia Project, “Organization History,” accessed May 12, 2018, http://www.swgaproject.com/. 27 Feeding America, “Map the Meal Gap 2017: Overall Food Insecurity in Georgia by County in 2015,” 2017, http://www.feedingamerica.org/research/map-the-meal-gap/2015/MMG_AllCounties_CDs_MMG_2015_1/GA_AllCounties_CDs_MMG_2015.pdf. 28 Feeding America, “Map the Meal Gap 2017: Child Food Insecurity in Georgia by County in 2015,” 2017, http://map.feedingamerica.org/county/2015/child/georgia/county/dougherty. 29 Georgia Department of Public Health, “Number of Children Receiving WIC, Birth through Age 4,” 2015, accessed from https://datacenter.kidscount.org/. 30 U.S. Bureau of Labor Statistics, 2016 Local Area Unemployment Statistics: Annual Averages (Washington, D.C.: U.S. Department of Labor, 2016). 31 Interview with Local Government Representative in Dougherty County (ID 43), March 27, 2015. 32 Interview with Local Government Representative in Dougherty County (ID 45), March 26, 2015. 33 Interview with Food Retail Representative in Dougherty County (ID 52), March 25, 2015. 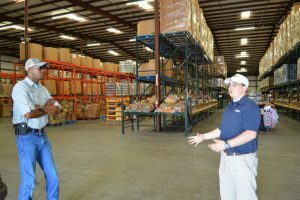 34 Second Harvest of South Georgia, “How Our Food Bank Works,” accessed May 12, 2018, http://feedingsga.org/food-bank-works/. 35 Dougherty County School System, “What Does it Cost to Eat at School?” accessed May 12, 2018, https://www.docoschools.org/apps/pages/index.jsp?uREC_ID=445534&type=d&pREC_ID=960897. For more information about the Community Eligibility Provision, see “School Meals: Community Eligibility Provision,” U.S. Department of Agriculture Food and Nutrition Service, August 8, 2017, https://www.fns.usda.gov/school-meals/community-eligibility-provision. 36 A. Dillemuth, “Community Food Systems and Economic Development: The Role of Local Governments in Supporting Local Food Economies,” (Buffalo, NY: Growing Food Connections, 2017), http://growingfoodconnections.org/wp-content/uploads/sites/3/2015/11/GFCPlanningPolicyBrief_EconomicDevelopment_2017Sept.pdf. 37 U.S. Census Bureau, 2016 Census of Governments: Local Governments in Individual County-Type Areas (Washington, D.C.: U.S. Census Bureau, 2016). 38 The formal name of the planning department is Planning and Development Services Department. The City and County have a long history of working cooperatively to provide services, a relationship formalized in 1999 when the City and County developed a Service Delivery Strategy. While the City and County governments are not formally consolidated, the Service Delivery Strategy essentially leaves the city and county with only four departments in which cooperative agreements are not in place: Personnel, Police, Finances, and Public Works. The City and County submitted a Service Delivery Strategy to the Georgia State Department of Community Affairs in compliance with Georgia’s General Assembly 1997 directive (House Bill 489). 39 A. Dillemuth, “Farmland Protection: The Role of Local Governments in Protecting Farmland as a Vital Local Resource,” (Buffalo, NY: Growing Food Connections, 2017), http://growingfoodconnections.org/wp-content/uploads/sites/3/2015/11/GFCPlanningPolicyBrief_FarmlandProtection_2017Sept1.pdf. 40 The Regional Commission has served as a designated Economic Development District since 1967 and administers the Comprehensive Economic Development Strategy (CEDS) required by the U.S. Department of Commerce. In 2011, the commission published Moving Forward: A Regional Plan. 41 A. Dillemuth and K. Hodgson, “Food Aggregation, Processing, and Distribution,” (Buffalo, NY: Growing Food Connections, 2016), http://growingfoodconnections.org/wp-content/uploads/sites/3/2015/11/GFCFoodInfrastructurePlanningPolicyBrief_2016Sep22-3.pdf. 42 A. Dillemuth and K. Hodgson, “Incentivizing the Sale of Healthy and Local Food,” (Buffalo, NY: Growing Food Connections, 2016), http://growingfoodconnections.org/wp-content/uploads/sites/3/2015/11/GFCHealthyFoodIncentivesPlanningPolicyBrief_2016Feb-1.pdf. 43 A. Dillemuth and K. Hodgson, “Local, Healthy Food Procurement Policies,” (Buffalo, NY: Growing Food Connections, 2015), http://growingfoodconnections.org/wp-content/uploads/sites/3/2015/11/FINAL_GFCFoodProcurementPoliciesBrief-1.pdf. 44 A. Dillemuth, “Community Food Production: The Role of Local Governments in Increasing Community Food Production for Local Markets,” (Buffalo, NY: Growing Food Connections, 2017), http://growingfoodconnections.org/wp-content/uploads/sites/3/2015/11/GFCFoodProductionPlanningPolicyBrief_2017August29.pdf. Recommended citation: Hall, Enjoli and Samina Raja. 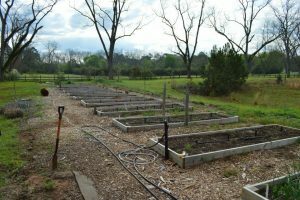 “Seeding Food Justice: Community-Led Practices for Local Government Policy in Dougherty County, Georgia.” In Exploring Stories of Opportunity. Edited by Samina Raja, 20 pages. Buffalo: Growing Food Connections Project, 2018.